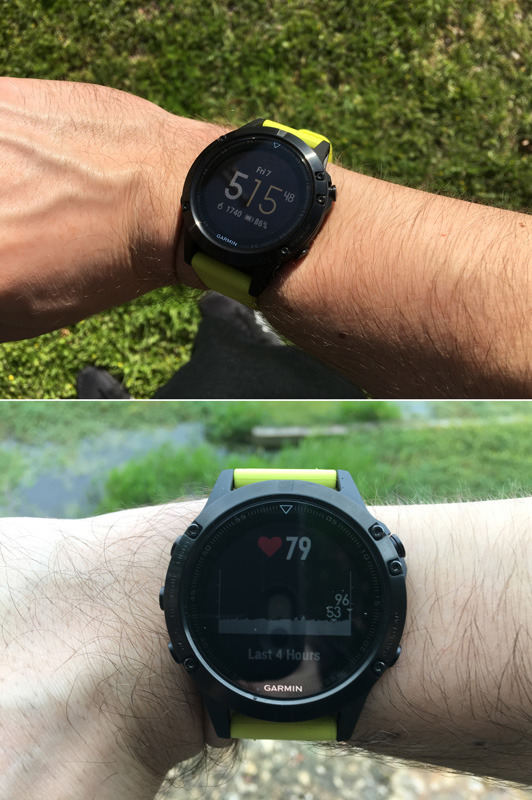 Like its predecessor, the Fenix 3 HR, the Fenix 5 doesn't mess around. While the 5 does have a faster processor and a (slightly) sharper display than the 3 HR, any apps it supports —first- or third-party, the latter from the Connect IQ store — are still almost exclusively fitness- or navigation-oriented. 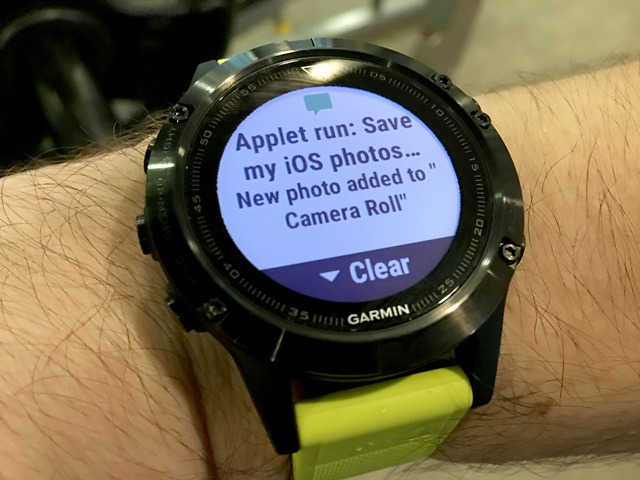 Garmin sells it as a "multisports GPS watch," and suitably, people who want to play games or control their smarthome accessories should probably look elsewhere — even its weather, music, and notification widgets feel like luxuries. Our review unit was an upgraded version of the standard Fenix 5, with a sapphire screen and hence Wi-Fi as well — non-sapphire models are limited to Bluetooth. Two other models are available: the 5S, which is smaller and sacrifices battery life, and the 5X, which is bigger, sapphire-only, and includes extensive mapping functions, seemingly aimed at people who spend most of their lives outdoors. The regular Fenix 5 at least feels extremely rugged. It uses screwed-down stainless steel for the bezels and undercarriage, and should be waterproof to a depth of 100 meters. We had no problems with sweat or wearing it in the shower. The sapphire option mostly makes the screen more scratch-resistant — something worth considering, though, for buyers who like to play rough. New quick-release bands are not only durable, but easy to swap out. Battery life is likewise pretty tough. In theory the watch can last up to 2 weeks in normal use, or 24 hours in GPS mode — stats which simply annihilate most competing products, especially the Apple Watch. They seem to bear out in practice too, since after a week and three extended workouts, we were only down to 69 percent charge. Realistically the Fenix 5 should be taken off long before the two-week mark for cleaning and comfort's sake. In fact the device is chock full of sensors, including a three-axis compass, an altimeter, and even GLONASS as an alternative to GPS. 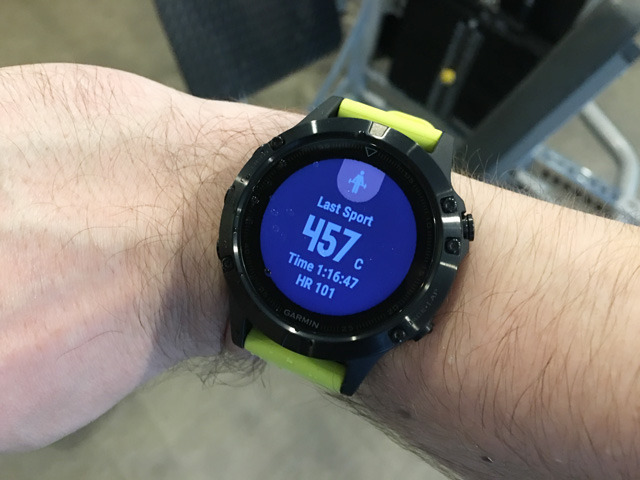 An upgraded heart rate sensor takes readings every second of every day —while this doesn't flood Garmin Connect or Apple's Health app with a non-stop stream of data, it should in theory improve the accuracy of the data that does sync. It moreover offers an absurd number of pre-defined (and sometimes auto-detected) activities, including not just standard options like running and swimming but rarities like skiing and golfing. 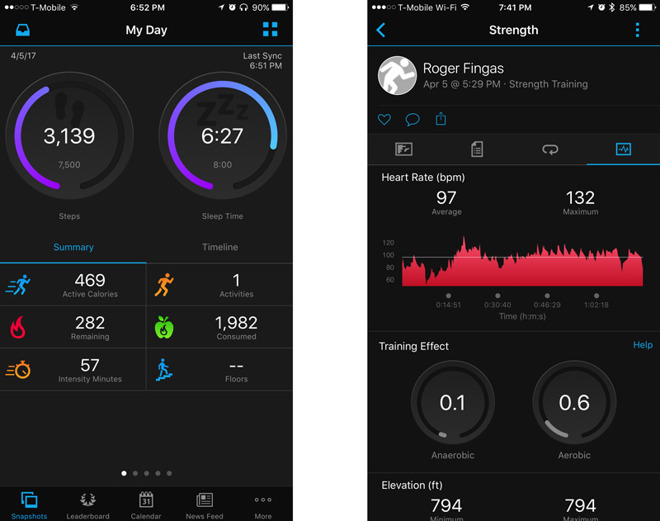 One complaint is that as usual, Garmin seems biased towards cardio workouts — while there is a Strength activity for instance, it offers barebones data and isn't even included in the default selections. Then of course there's the issue of life beyond gyms and trails. 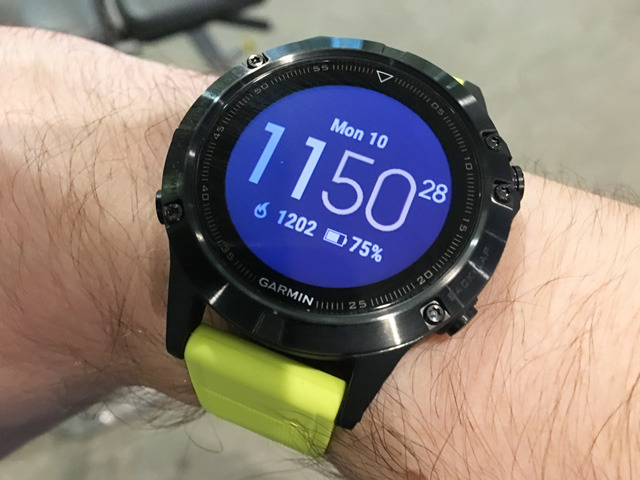 The watch is certainly useful for the things every smartwatch does, with the rarer bonus of that always-on display — it's nice being able to check calories or notifications in an instant. But there are no email or password apps, no wireless payment systems like Apple Pay. iPhone owners who need those sorts of creature comforts should probably stick with an Apple Watch Series 2. It's almost an unfair comparison though — the Fexix 5 knows exactly where its audience lies, and for that group, there aren't many alternatives of the same caliber.